Although this recipe calls for blue plums, like the quetsches that appear in eastern France in late summer, it works well with any plum variety. 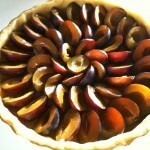 Simply taste the plums before beginning and adjust the amount of sugar you use according to their tartness or sweetness. All of the ingredients should be at room temperature before you begin. 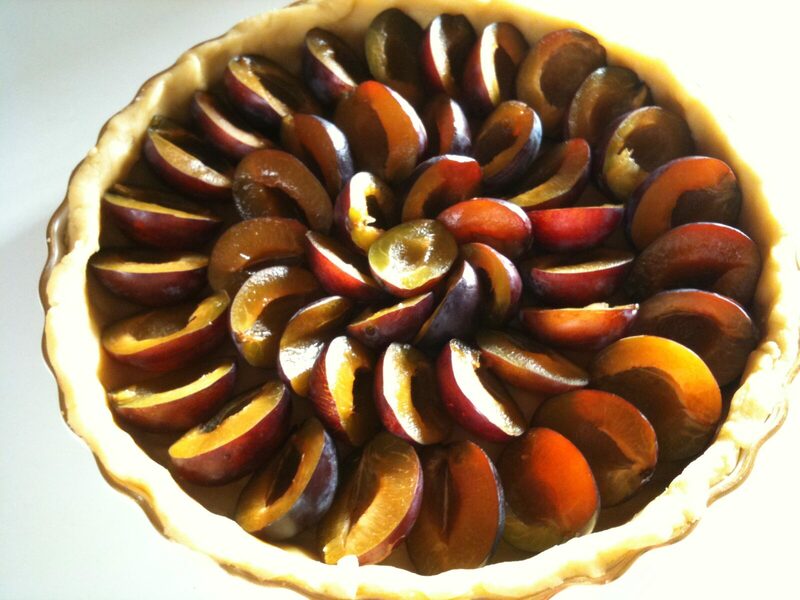 You will need an 8-9 inch (20-22 cm) tart pan – if you’d like to make a larger tart, double the recipe. As for which type of tart pan to choose, it’s best to avoid the two-piece French tart pan that allows you to remove the outer ring after baking, exposing the golden crust. 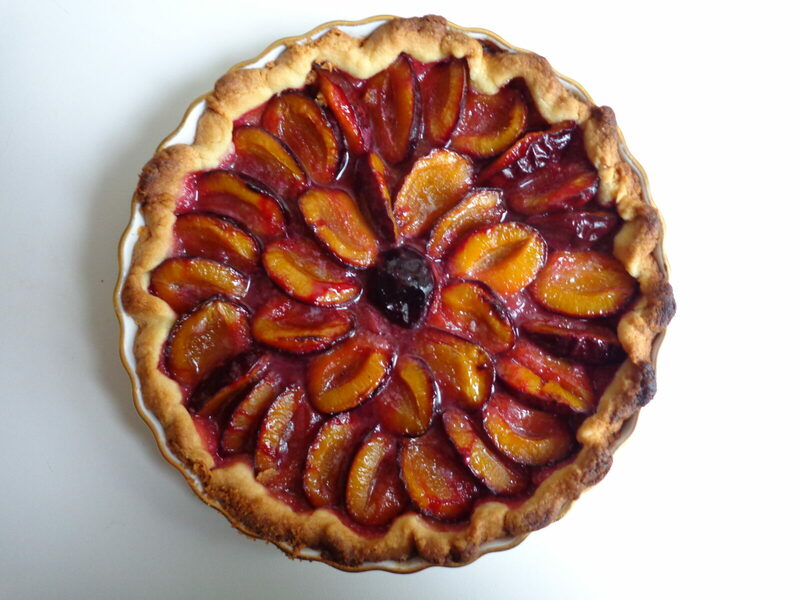 As pretty as that may be, such pans present a risk of leakage with juicy fruits like plums. I would recommended using a normal tart pan with straight sides. If you don’t have one, any one-piece pie pan will do. As temperatures can vary widely according to the oven, you will need to take a look inside while baking this tart for the first time. If it is baking too quickly (the crust turns brown before the fruit starts to soften), turn down the heat. If it is baking too slowly (nothing much has happened after 15 minutes), turn up the heat. Cassonade and demerara are two varieties of raw (unrefined) sugar. More flavorful than refined sugar, they are the best choice for sugaring a pie or tart. They are not equivalent to American-style brown sugar, which contains molasses. If neither cassonade nor demerara is available, use refined white sugar. Congratulations Meg, your tart is delicious ! The crust (pâte sablée) goes magnificently well with the quetsches.